Orthopedic conditions can affect people in Los Angeles of all ages and lifestyles. While many orthopedic injuries are caused by sudden and severe accidents that inflict a major toll on joints and bones, most are caused by general wear and tear of the joint. 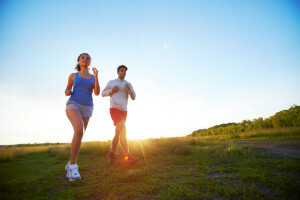 Through the gradual loss of cartilage and the weakening of vital connective tissues, joints can lose their normal functions and suffer from severe pain during even light physical activity. While many opt for joint replacements and various in-depth surgeries every year, more and more people understand the vast array of uses and benefits from regenerative medicine. This process takes advantage of the major steps made in medical care in recent years, providing patients in Los Angeles with newer and more effective treatments. Whether you have been suffering from orthopedic conditions for years or are only just beginning to feel the toll on your joints, regenerative medicine treatment may be right for you. Los Angeles Orthopedic surgeon Steven W. Meier, MD and the team at Meier Orthopedic Sports and Regenerative Medicine provide numerous forms of regenerative medicine treatment in order to help patients put an end to countless physical limitations. To learn more about regenerative medicine treatment techniques and schedule an appointment with an experienced orthopedic surgeon, call 310.736.2793 or contact us online today. How Can Regenerative Medicine Help You? Rather than replace missing tissue in joints with artificial materials, joint regenerative medicine focuses solely on regenerating tissue, tendons, cartilage, bone, and ligaments. Whether these tissues have been severely damaged or have lost considerable mass, regenerative techniques aim to restore important tissue to a healthier and younger state. In order to provide the most effective treatments possible for each patient’s unique orthopedic condition, Dr. Meier in Los Angeles provides three main modalities of regenerative medicine. Each of these treatments regrows tissue in a different manner and may be most suitable for certain conditions. Because orthopedic conditions can cause severe pain that limits activities during both professional and personal life, prolotherapy treatment is designed to alleviate serious discomfort in a natural manner. During prolotherapy treatment, a solution that includes dextrose is injected between the muscles and bone where the injury has taken place. A numbing spray is used during the treatment, making this a painless procedure. The solution that is injected into the problem area not only quickly alleviates pain but is designed to stimulate the production of tendons and ligaments. Additionally, the immune system will be stimulated, bringing fibroblasts into the areas where pain occurs, which will both eliminate pain and grow soft tissue. Depending on the type and severity of an injury, a patient may undergo multiple prolotherapy treatments. 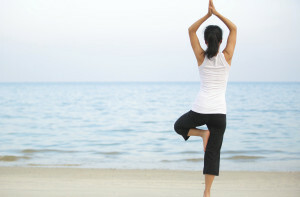 However, the total healing time is often far shorter and much less complicated than post-surgery rehabilitation. With the help of a skilled orthopedic surgeon, a Prolotherapy treatment plan can be tailored to your unique orthopedic condition. As an orthopedic surgeon who practices the use of prolotherapy, Dr. Meier provides a rare combination of skills, as prolotherapy in Los Angeles is not normally part of the standard orthopedic surgery training curriculum. In addition, the combination of prolotherapy use with surgery skills is advantageous, as a surgeon has detailed knowledge of anatomical structure. The combination of a high level of technical skill and experience performing prolotherapy treatment means there is a reduced risk of complications and can also reduce the total amount of treatments needed for effective prolotherapy care. Additional information about regenerative medicine treatment can be found on our prolotherapy FAQ. Stem cells are the building blocks of the human body. Modern scientific research has shown that stem cells are used by the body to turn into anything that is needed on a daily basis. However, the human body is not equipped to create replacement tissues for orthopedic injuries on its own. Through orthopedic stem cell treatment therapy, we use these cells to grow tissue has been damaged or lost. The amniotic stem cells have the ability to grow into nearly any type of tissue in little time, thanks to modern medical procedures. By doing so, we can specifically create what your joints need in order to return them to a healthy and properly functioning state. Additionally, the use of platelet-rich plasma (PRP) therapy in stem cell treatments allows orthopedic surgeons to supercharge self-healing capabilities. During this procedure, blood will be drawn from the patient, then spun down to concentrated platelets and growth factors. 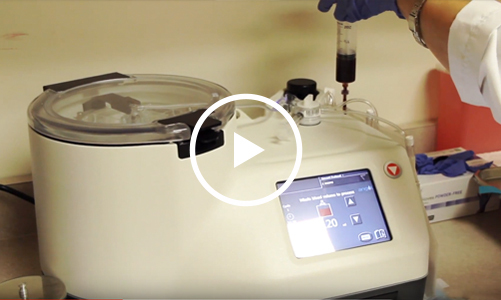 This concentrated plasma will then be injected directly into the injured joint, tendon, or ligament, which will expose damage to this natural healing solution. PRP therapy treatment is among the most modern and cutting edge of all procedures available. medlineplus.gov has more information about stem cell therapy as well. What Conditions are Treatable with PRP Therapy? There are numerous conditions that can be treated with PRP Therapy. While no two patients will undergo the same treatment for their needs, knowing what conditions are treatable through regenerative medicine treatment can help you make an informed decision concerning your path to recovery. Should you be suffering from symptoms indicating that you have any of these conditions, or if you have been diagnosed with a condition, it is vital that you seek help from a skilled orthopedic surgeon. Dr. Steven W. Meier of Los Angeles not only provides regenerative medicine injection therapy and a wide variety of orthopedic services, he also provides second opinions on diagnoses in order to give patients the most information possible on their conditions to obtain proper joint tissue regeneration. If you are looking for a solution to assist with your orthopedic limitations, get in touch with Dr. Steven W. Meier and the medical team at Meier Orthopedic Sports and Regenerative Medicine. Dr. Meier is a Board-certified orthopedic surgeon with years of experience in advanced orthopedic techniques. For more information on regenerative medicine and what treatments may be right for you, contact an orthopedic surgeon by calling 310.736.2793 or filling out the online contact form. Through an appointment with a regenerative medicine specialist at Meier Orthopedic Sports and Regenerative Medicine in Los Angeles, you can restore your body and stay healthy for years to come. Next, learn about our Lipogems.